Do your homework before hopping on a treadmill. Taking the time to understand the features of manual and motorized treadmills can help maximize the benefits of your workout. There are significant differences between a manual treadmill and a motorized treadmill, including cost, features, size and maintenance needs. Once you've done your research, perform a workout on a motorized and a manual treadmill to help decide which model best fits your fitness goals. Manual treadmills are safe and simple machines with a belt that is operated solely by the movement of your feet. Because there are no complex electrical components, it requires little maintenance. Manual treadmills tend to be lighter and smaller than motorized treadmills, which offer a variety of automated walking and running routines on a cushioned, moving belt. 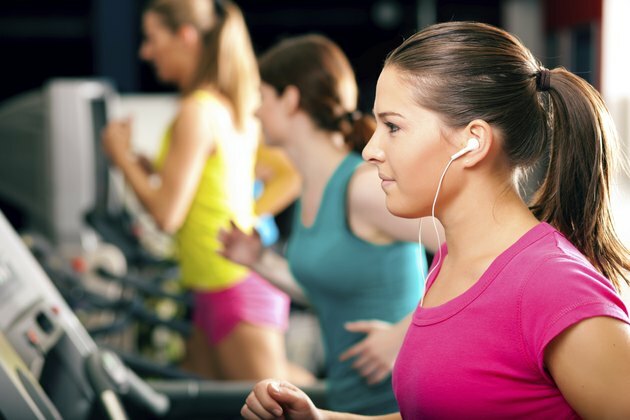 It is easier to maintain a steady pace on a motorized treadmill as speed and incline levels can easily be changed on the machine’s electronic console. That console may offer additional features like a built-in heart rate monitor, calorie tracker, fan and music player. If you are on a tight budget, manual treadmill models can be found for under $200, while electric versions can cost several hundred dollars more, with high-end models well over a thousand dollars. Manual models don't increase your electricity bill and maintenance cost is minimal. For those in apartments or who are tight on space, manual treadmills are a good option because they tend to be smaller. 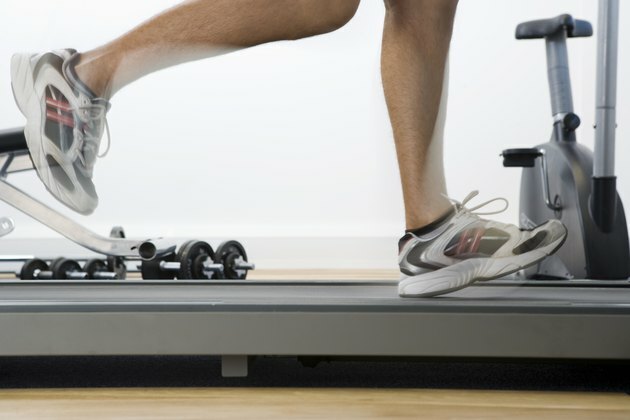 Low-end motorized treadmill models are generally not recommended because inferior parts increase the risk of a malfunctioning machine and costly repairs. There are also more maintenance tasks needed on a motorized treadmill that may require the services of a professional technician at an additional cost. A manual treadmill workout is more strenuous and has a greater impact on your knee and hip joints because it lacks the belt cushioning system offered by a motorized treadmill. 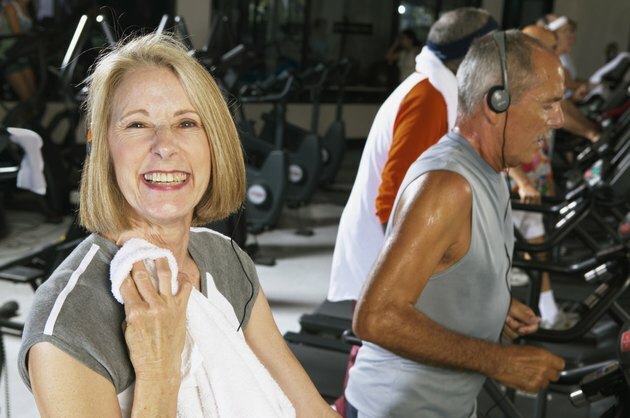 Since a motorized treadmill offers a more comfortable workout, you may be able to exercise longer and faster. Because it is harder to maintain an effective pace on a manual treadmill, your ability to sustain an elevated heart rate level can also be impaired, which can make your workout less beneficial. Alternatively, motorized treadmills offer a variety of speed and incline options to boost workout efficiency. Take care when using either a manual or motorized treadmill. According to Consumer Product Safety Commission data, treadmills cause more accidents than any other piece of exercise equipment. Manual treadmills offer fewer hazards than motorized treadmills because they have no parts that move automatically, but take extreme caution when moving manual treadmills to reduce risk of back strain. 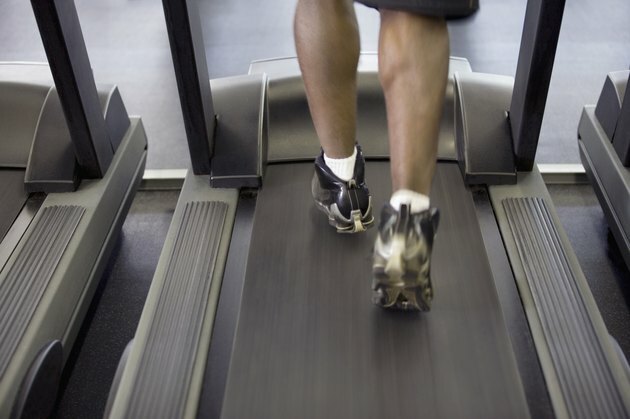 Injuries from motorized treadmills are often a result of tripping or falling off the machine during operation. Carelessness and inattentiveness also increase your risk of injury. When not in use, treadmills should be unplugged and kept in an area of the home that is restricted to children and pets. Follow your owner’s guide when performing maintenance on a motorized treadmill, and when in doubt, consult a professional technician.